A funny thing with a blog is that when you write content, the blog doesn’t really know if it’s a one time deal or a post people could reference for years to come. I’ve set up a blog section/tag called “MilesTalk University” that is meant to house posts like that, but in reality, one needs to know to look for it and then scroll through it all – a bit unwieldy. And I’m constantly reading a question from a reader and thinking “I wrote a post on that.” but how would anyone but me know? 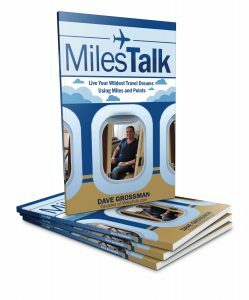 Hopefully, you’ve already read MilesTalk: The Book. Even if you don’t want to buy the paperback, MilesTalk Group members get free eBooks and this is hands down your best overview to the hobby. If you have never read the below articles, most, if not all, are worth a read. Chase Sapphire Reserve or Sapphire Preferred: Which is right for you? Should you even use a miles earning credit card? Where can I transfer Chase, Citi, American Express, and Marriott/SPG points? How long will the transfer take? Collision / Damage insurance coverage when you book your car rental with points. Are you covered?